U.S. Rep. Lou Barletta, R-Pennsylvania, smiles as he talks with reporters after a meeting with President-elect Donald Trump at Trump Tower in New York, Nov. 29, 2016. During Pennsylvania's Tuesday primary election, Republican Party voters in the state will select Barletta or Pennsylvania state Rep. Jim Christiana as their nominee to challenge Democratic U.S. Sen. Bob Casey's re-election bid. Tuesday’s primary elections will begin to settle swing state Pennsylvania’s chaotic congressional landscape after a court fight ended with redrawn districts just three months ago. Pennsylvania primary voters will also decide the fate of President Donald Trump’s pick for U.S. Senate. Idaho voters are set to pick their Republican gubernatorial nominee, while heavily Republican Nebraska and Democratic-leaning Oregon are also holding primaries Tuesday. Republicans outnumber Democrats in Pennsylvania’s House delegation, though a new congressional map is making the state a focal point of Democrats’ effort to reclaim House control in November. Eighty-four candidates are running in 18 House districts in light of new court-ordered redrawn congressional district maps in February. That’s more than any time since 1984, when Pennsylvania had 23 seats in the House. Five of Pennsylvania’s 13 GOP House members have quit or are not running again, helping create seven House vacancies, the most in Pennsylvania since 1976. Moderate Charlie Dent is abandoning Pennsylvania’s new 7th District, where Hillary Clinton received more votes than Trump, who carried Pennsylvania. Six Democrats are running in this district, which reunified Democratic-leaning cities in the east and cut out some of Republican-leaning central Pennsylvania. Ten Democrats are running in suburban Philadelphia’s 5th District, where Rep. Patrick Meehan resigned last month amid allegations he sexually harassed a former employee and where Clinton also beat Trump. 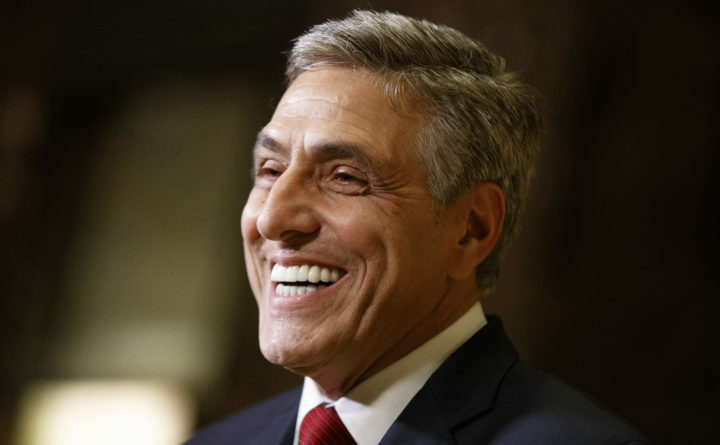 Rep. Lou Barletta is hoping Trump’s recent run of successful election suggestions continues in the Pennsylvania Republican Senate primary. Democrats seldom have the luxury of choice in Nebraska, where Republicans have dominated for 80 years. But, for the first time, Omaha-area Democrats have options for the state’s lone urban House district. Tuesday’s Democratic primary in Nebraska’s 2nd District, dominated by Omaha and its suburbs, features moderate former Rep. Brad Ashford fighting for his old seat and Kara Eastman, a children’s nonprofit administrator, running to Ashford’s left. It was a rough night for Republican members of Congress a week ago. Two lost in Indiana’s Senate primary, while one fell in the West Virginia Senate primary. North Carolina Rep. Robert Pittenger lost the primary to keep his own seat. The four-term Republican House member and founding member of the conservative House Republicans’ Freedom Caucus is one of three GOP candidates for governor in Idaho, a state so heavily Republican that the primary goes a long way to determining the general election. Republican Gov. C.L. “Butch” Otter is not seeking re-election after three terms. Lt. Gov. Brad Little is seeking the GOP nomination, with Otter’s endorsement, while Tommy Ahlquist, an emergency room doctor turned developer, hopes his outsider status carries him as it did Indiana businessman Mike Braun in last week’s GOP Senate primary. Ten Republicans are vying for Oregon’s nomination for governor — the most in more than a century. The interest among candidates belies the uphill climb for the party in the Democratic-leaning state.